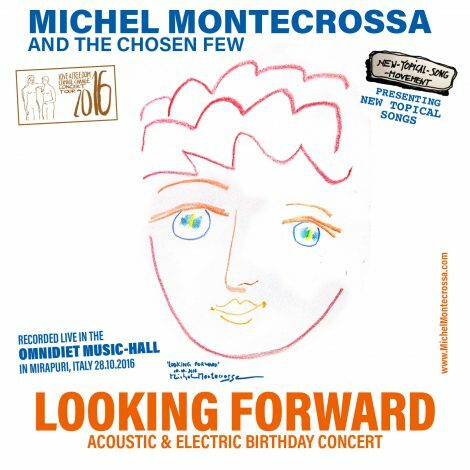 The ‘Looking Forward’ Acoustic & Electric Concert for the Mirapuri World Literature Fest 2016 by Michel Montecrossa together with Mirakali, Diana Antara and his band The Chosen Few live at the Omnidiet Music-Hall in Mirapuri, Italy on 28th October 2016, is released by Mira Sound Germany on Double Audio-CD, DVD and as Download. The concert presents 20 great acoustic & electric Songs by Michel Montecrossa, Mirakali and Diana Antara carrying the message of Love and Freedom in a deeply poetic way like ‘Looking Forward‘, ‘All On Fire‘, ‘With Love & Freedom Into The Future‘, ‘I Feel At Home In Your Embrace‘, ‘Dreams Of Paradise‘, ‘Coming Home Into The Future‘, ‘Woman & Man, Man & Woman‘, ‘Love & Freedom, My Love, I Am With You‘, ‘There Are Three Female Wonders‘, ‘World Of Delight‘, ‘Whispering Love‘, ‘Ballad Of Love And Sweetness‘, ‘I Have A Vision‘, ‘A Journalist’s Song #2‘, ‘Hunt For Truth‘, ‘Her Eyes Black As Night‘ and ‘My Christmas Of Love & Freedom‘ and more. A stream of consciousness painting and drawing fusion with an awareness stimulating color and form movement and portrait expression illustrating the atmosphere of the Spirit of Woodstock Festival song ‘Call Of The Festival’. 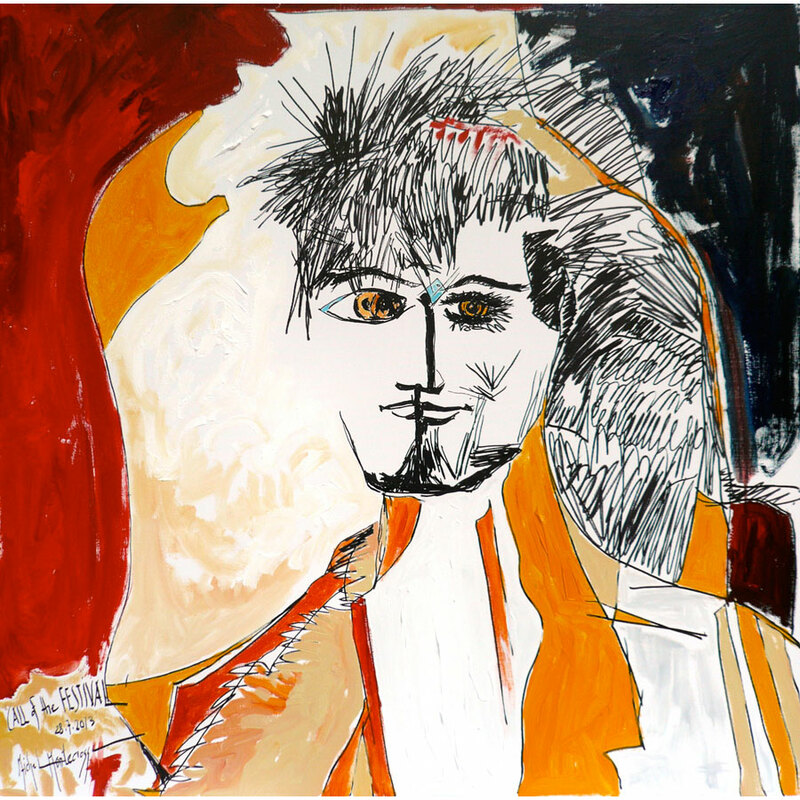 The painting and drawing fusion communicates the consciousness experience of relaxed and attentive joy and arousal that stands behind both: the painting and the song. Politos and bankas don’t give the answer. There’s a hard and hungry way everywhere. No India-Agni-Rocket can give you safety. Five millions in the Sahel-Zone are about to die. The rich and the ugly get harder and will not cry. for export of food not given to the hungry. The spirit of humanity lives through the downtrodden. of mothers and fathers and their loved ones. No closing of borders can give you safety. Millions on the run need human unity. smitten with poverty and pain without end. No Syria-Style-Tyrant can give you safety. No nuclear war can give peace and liberty. cheated, mistreated, knowing the song that never dies. 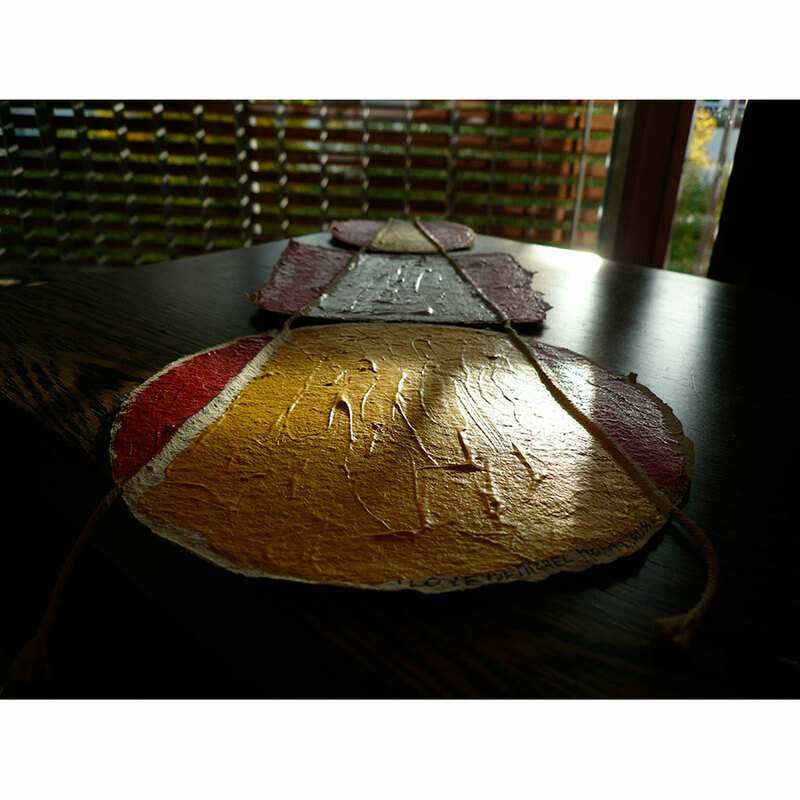 of living mothers and fathers and their loved ones. 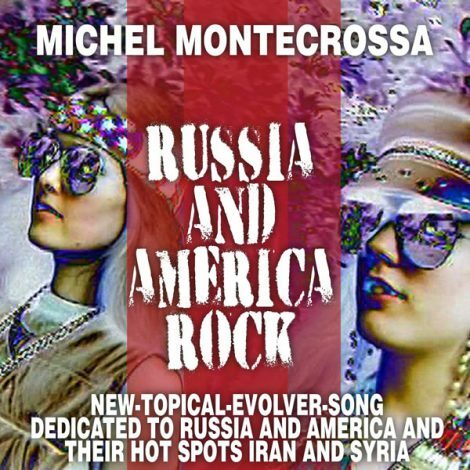 Russia and America Rock: Michel Montecrossa’s Evolver-Song & Movie (from the Reality Rocker 21 movie series Part One ‘New Day’), released by Mira Sound Germany, is dedicated to Russia and America and their hot spots Iran and Syria. into nothingness of the past.